A 3” waterproof responsive color touchscreen & sunlight readable display. X5 Evo comes with two mobile apps, one called “Xplova Connect App”, the other “Xplova Video App”. Cyclists can transfer their performance data to their Connect App to monitor their progress, or to upload it to TrainingPeaks or Strava to analyze the data and compare their rides against others’. 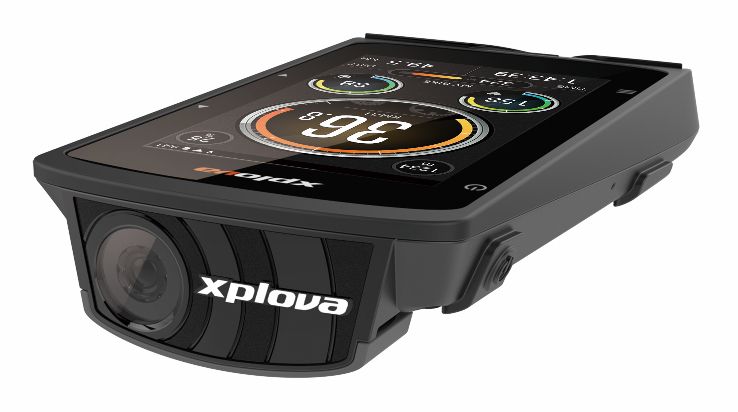 Through the Video App, cyclists can instantly share their videos on Facebook, YouTube, or Xplova’s own platform. The camera’s coolest feature is that you can set different recording triggers, so that you only record the best part of your bike ride. For example, you can set the device to record based on your heart rate, Smartsign, speed or with a quick press of the REC button. A huge investment in software with free open source world mapping is now at your fingertips. You don’t even need the X5Evo to download this, simply visit the App or Play store to download. Described by the brains at Xplova, the Acer owned subsidiary, as “extremely intelligent and connected” the device is being marketed as the first ever “2-in-1” biking computer with integrated camera and full social network connectivity.